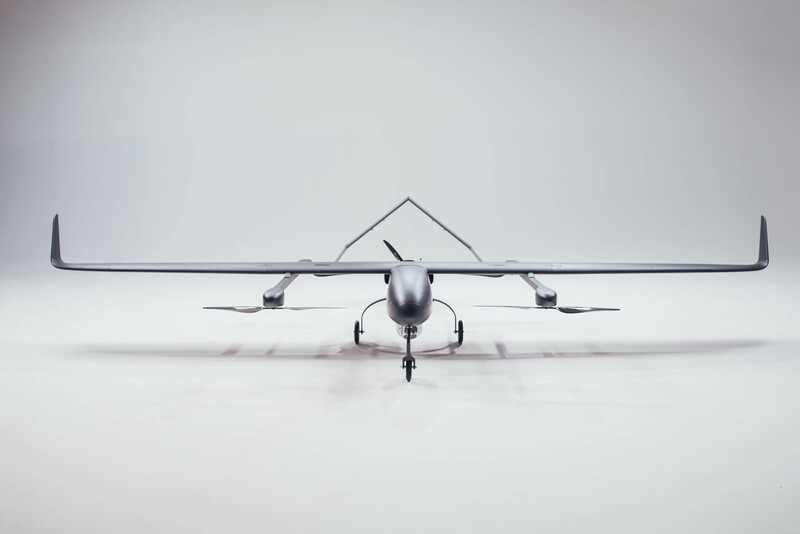 PD-1 VTOL Fixed-Wing Unmanned Aerial System is ready to fly modular solution that can be easily customized in the field according to any mission. Our system is packed with high-end technology, AES 128/256 encryption and anti-jamming technologies. PD-1 VTOL UAV can stay in the air for up to 7 hours with 8 kg payload and well-suited for surveillance, aerial photography, agriculture, search and rescue and public safety applications. PD-1 UAV equipped with quiet and reliable 61cc 2 cylinder 4-stroke engine with electric starter/80 W generator system that can automatically start the engine and power up all equipment on board during the flight. In addition, electric fuel injection upgrade is available for maximum performance and add 15% more endurance. Engine unit can be easily replaced, so you don't have to interrupt drone operations for engine maintenance or overhaul. RPM, temperature and fuel level sensors comes as standard equipment. PD-1 Unmanned Aerial Systems are currently on service in Ukrainian Armed Forces. Our solution has received positive feedback from Ukrainian Army officers, drone operators and intelligence agents. PD-1 comes equipped with anti-jam capabilities, allowing it to be operated without GNSS signal or even when it faces GPS spoofing or control signals interception attempts.